Explore the mountain town of Bariloche on this 4-day trip from Buenos Aires. Hop a plan in the Argentine capital and fly a short 2 hours to Bariloche, a quaint alpine destination that provides a perfect jumping-off point for excursions in Nahuel Huapi National Park. Take day tours to Tronador Hill and the Circuito Chico to admire the breathtaking scenery. 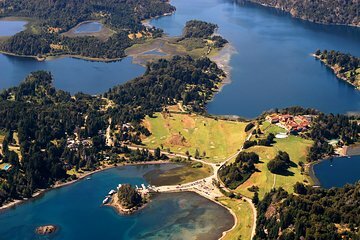 Stop by the iconic Llao Llao Hotel, Mascardi and Gutierrez Lakes and Nahuel Huapi mountain. Round-trip airfare, nightly accommodation and daily breakfasts are included.